Mortgage professionals in the Maritimes are coming together for a fourth straight year to make the wishes of children with severe illnesses come true. 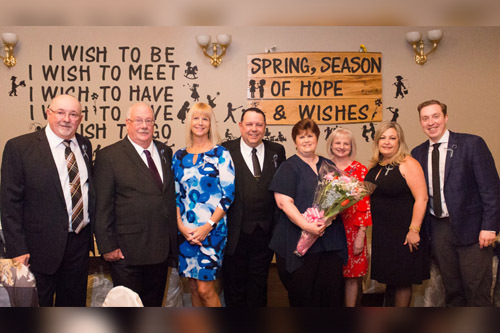 Brokering Wishes, which supports the Make-A-Wish Canada, will be hosting three galas in May to achieve their target goal of raising over $250,000 since the initative began in 2016. The first event on May 2 will be a wine and cheese in Moncton, NB, followed by a May 10 gala in Dartmouth, NS, and another gala on May 25 in St. John’s, NL. In 2016, the group of dedicated mortgage professionals raised $20,640, followed by $53,600 in 2017, and $88,185 in 2018. To date, Brokering Wishes has raised $162,000. This year, Halifax-based Big Fish will take the stage for guests in Dartmouth for what promises to be both a terrific concert from local luminaries and a heartfelt event for children felled by unspeakable circumstances. MacNeil describes an opportunity to both allay a child’s fears and anxieties and provide them the strength to get better. “I have been fortunate to hear Wish families talk about their experience of a wish that has been granted to their child, and the extremely positive impact that it’s had on not only the child but the family as a whole is absolutely amazing,” he said. “it’s a privilege to have the opportunity to impact another family in such a positive manner.